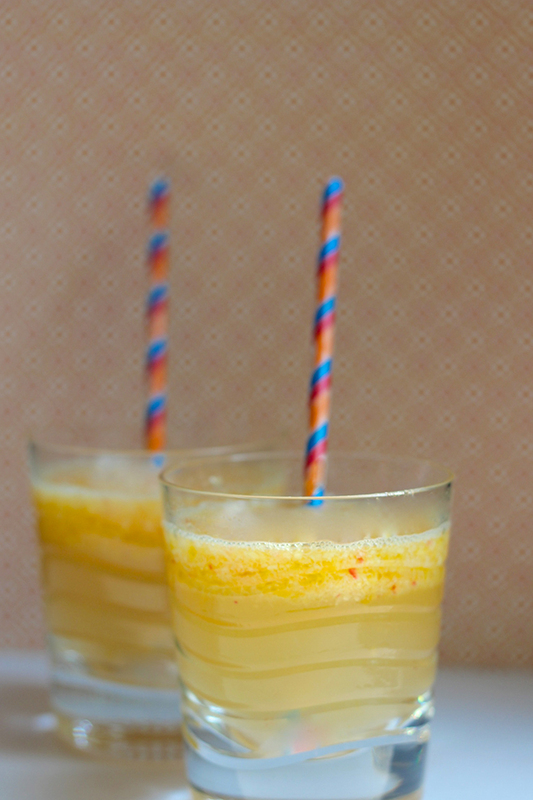 Summer fruity drink cocktails are such a treat! 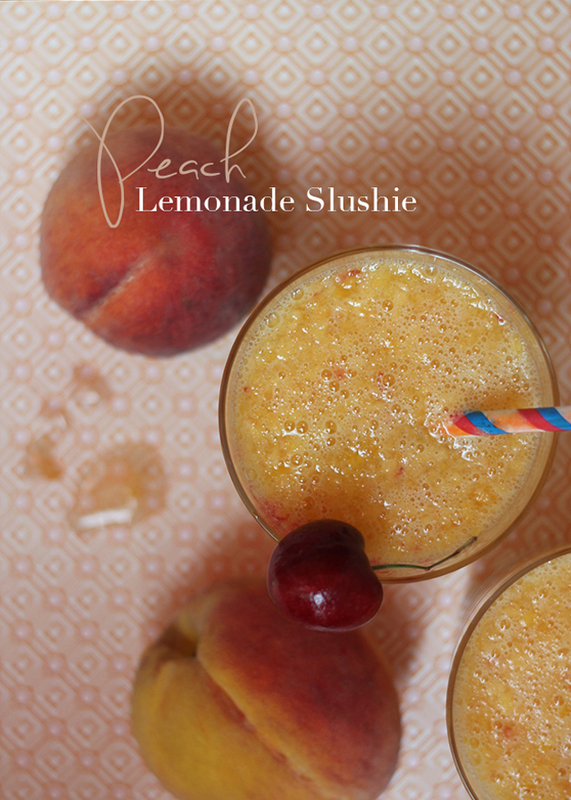 This peach lemonade slushie can be ready in five minutes for an impromptu cookout or a lazy evening on the porch. 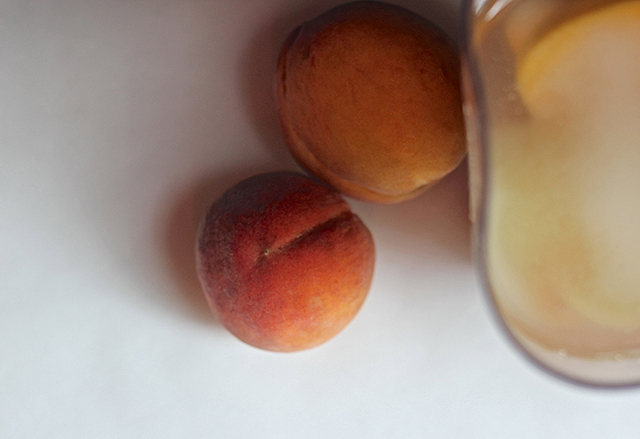 On Monday, I made up a wonderfully fresh new fruity recipe (a spin on this one from the past). I had all the ingredients fresh from the store, my lighting and backgrounds all set (fellow bloggers/photographers can relate), and I was delighted with how everything tasted and came together. As I began to write this post and upload photos, I realized I had no memory card in my camera... and no great photos featuring great recipe with great lighting and backgrounds. Fail. Well, guess what? I returned from the oops to an even better. 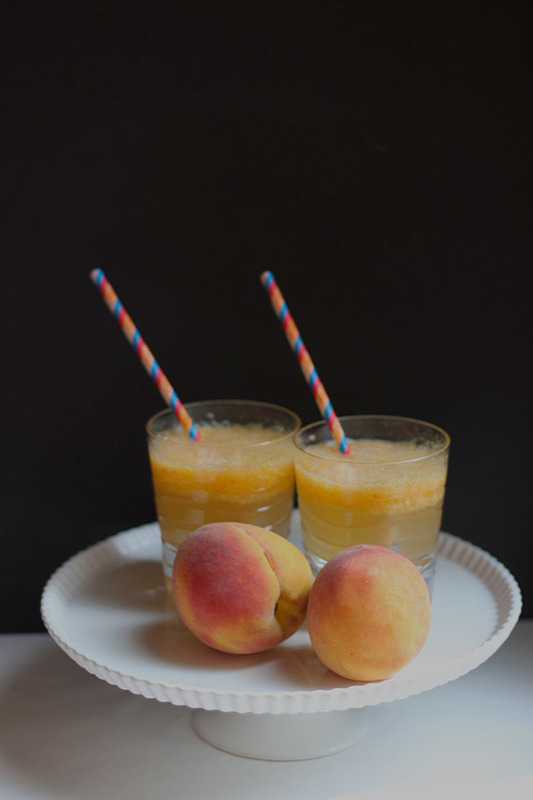 Using some of the remaining fabulous ingredients I created this new recipe for a peach lemonade slushie that's even better than what was going to be here, had I remembered to put in my SD card. So, take that, Monday. Mix the ingredients listed below together in your blender. Combine until they are mostly blended. 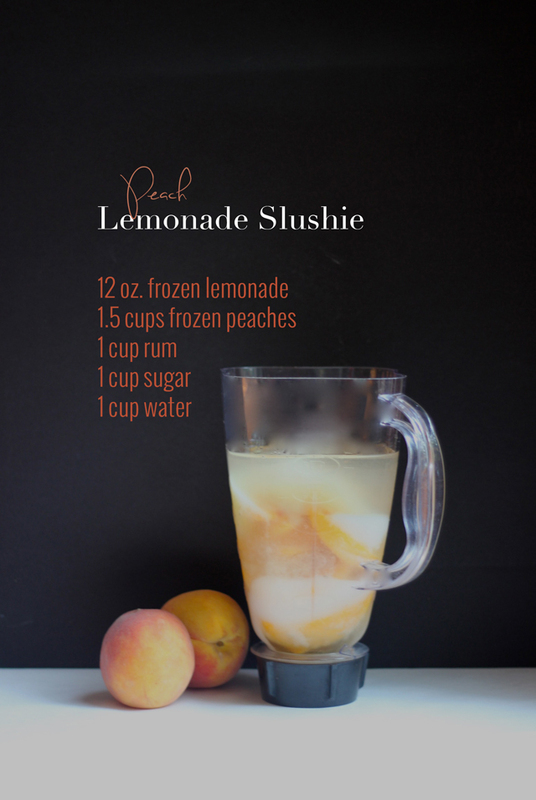 For serving, you can either freeze for 24 hours and make a hard slush, or serve immediately for a softer version. Combing one half slushie with one half Sprite/7 Up type of beverage and stir. Caution: these go fast. 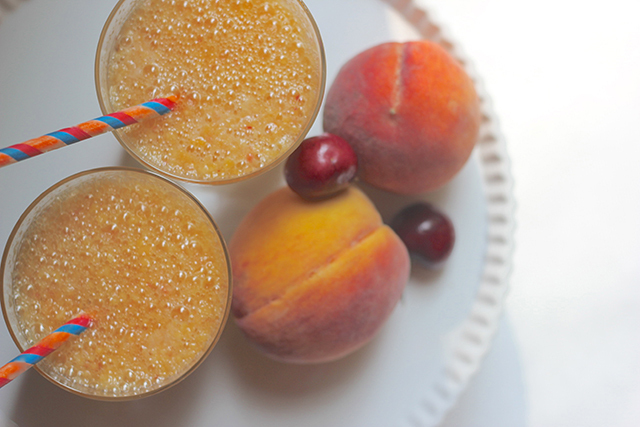 This recipe comfortably serves 4 for a toast on the deck. Enjoy, friends. And cheers to turn around those Monday fails!